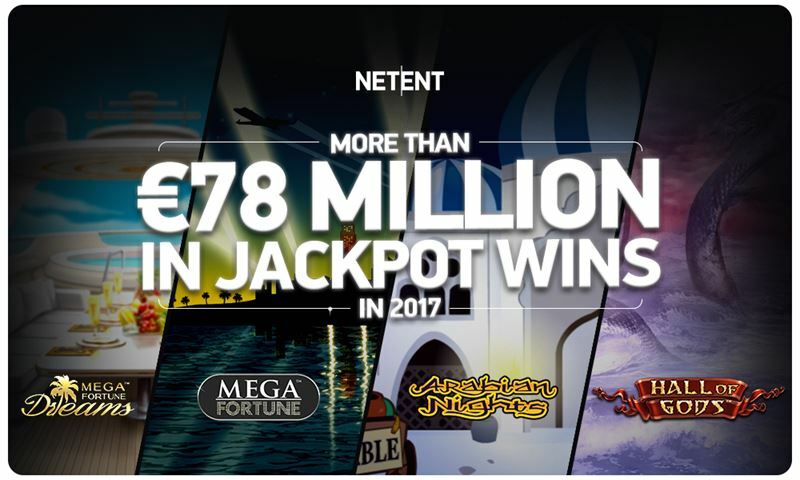 NetEnt, leading provider of digital gaming solutions, has revealed a total of 321 jackpots were paid out during 2017 – amounting to €78.3 million. Mega Fortune™, Mega Fortune Dreams™, Arabian Nights™ and Hall of Gods™ are NetEnt’s four global accumulative jackpot games. Together they give operators access to the largest online jackpots in the iGaming world, allowing them to promote to their players the dream of a truly life-changing win. Earlier this month, two Mega Fortune Dreams players ensured they had the perfect Christmas present after claiming a staggering €3.3m, and €3.5m respectively. Both players enjoyed the excitement playing on mobile. Mega Fortune Dreams alone has paid out a whopping €30.4 million in 2017. It was also the most popular choice, with the highest number of unique players and rounds played. The highest jackpot this year and the fourth-highest payout in NetEnt history, was won by a lucky player scooping €7.5m on Hall of Gods™ back in June. “Our games are continuing to pay out life-changing winnings to players and to be able to win them €78 million in 2017 makes us all very proud,” said Henrik Fagerlund, Chief Product Officer of NetEnt.